New Skull Ring Get The Celebrity Look! 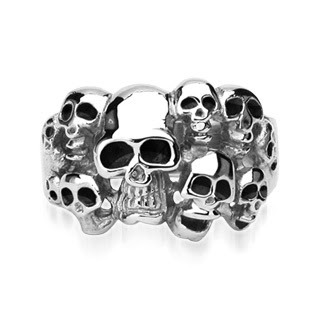 We had to show you this wicked new skull ring we have just had in stock……. Made in high grade stainless steel, this won’t mark your skin or tarnish and is also scratch resistant to! The ring has a detailed skull face design with black eyes and we have to say it looks wicked on! Lots of the celebs have been spotted latley with ‘Skull’ look jewellery and we predicted this year it will really be in fashion so make sure you first in the queue!